Gripsweat - Des All Stars UK Grape 45 Night food reggae.Hear! 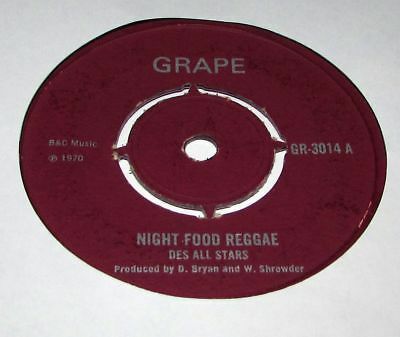 Des All Stars UK Grape 45 Night food reggae.Hear! Night food reggae b/w Walk with Des by Des all Stars on 1970 UK Dice GR-3014 in VG condition.